Myrtle Beach is full of many fun and exciting activities out on the water for visitors of all ages and activity levels. You can sign up at many locations for guided water tours of all kinds, including jet skis or personal watercraft, kayaks, party floats or barges, charter fishing vessels, luxurious slow-cruise riverboats, dinner cruises, and more. Whether it’s out on the Atlantic Ocean, tucked in an inlet, or up a river, though, being on the water carries certain risk factors. Carelessness or negligence can quickly turn a beautiful day into a nightmare when someone gets hurt or killed, and you may be owed financial compensation if someone else is to blame. It’s possible that handrails may not be in place where they need to be or properly maintained, leading to a dangerous fall on the stairs. Dangerous clutter through dark, narrow walkways or escape routes can also lead to injuries aboard. One good piece of advice when going on a cruise is to check with the Centers for Disease Control and Prevention’s Vessel Sanitation Program before you pay a dime. 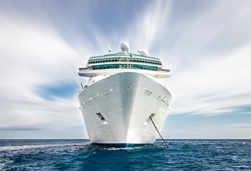 You can find your cruise line and the specific vessel’s past and current health reports to make sure that the company is following procedures to keep passengers safe from injury, disease, pests, and more. For mid-sized vessels, including party barges, fishing charters, and wildlife tours, you should be especially aware of the dangers of overcrowding. If the operators exceed the operational capacity of the boat, it places the lives of everyone in danger. Mechanical failure may result in dangerous tipping that throws partygoers overboard, damage to the boat, or even the capsizing or sinking of the vessel—and in an overcrowding situation, it’s highly unlikely that there’s enough safety equipment for every passenger, as is mandated by the United States Coast Guard. Avoid an overcrowded vessel at all costs. The dangers when aboard a smaller vessel are different than those of a bigger boat or cruise ship. Banana boats in particular are a thrill ride for aquatic adventure-seekers, but there is a lot of room for danger if the operator is incompetent or negligent in his or her duties. A banana boat is a long, narrow inflatable craft, designed to be straddled by riders and towed by a speed boat, jet ski, or other powered vehicle. It’s common for the operator to accelerate rapidly to try and buck the riders into the water, but serious injuries can result from the violent motion of this type of craft, including death. Medical researchers have even begun to warn that banana boats may be responsible for life-threatening neurovascular injuries, including arterial dissection, which may go undetected until it’s too late. Alcohol is the top cause of recreational boating accidents. Speeding or recklessness is extremely dangerous on the water, and can result in collisions with fellow tour riders or other vessels, severe injuries, or drowning. Inattention is one of the leading causes of accidents, resulting in collisions, groundings, or other dangerous situations that can lead to injury or death. Poor maintenance of safety gear can pose a real danger, so if any rental gear seems suspect, ask the tour crew about it before you take a single step towards the shore. Always wear the appropriate safety gear, and if you’re not sure, ask a staff member. If the company shrugs off safety concerns, it’s best to take your money elsewhere. If you’ve been injured or lost someone due to the negligence of somebody on a water tour, whether it’s a cruise ship, a kayak, or anything in between, you should seek legal help from an attorney who understands maritime law right away, before you speak to anyone from the tour company—or their insurance. You may be able to receive compensation for medical bills, lost time and wages, funerary costs, pain, and more. To get legal assistance today for your Myrtle Beach water injury, contact the Law Office of Kenneth E. Berger at 843-800-0911, or by using our live chat feature 24/7. We proudly serve visitors to and residents of South Carolina while holding the entities that cause them harm responsible.